Victor Pinchuk, the Ukrainian oligarch who took sides for the European Union (EU) against Russia, is running out of money, company officials admitted last week in a confidential briefing. Pinchuk has been forced to provide his company with $20 million in emergency cash to stave off insolvency, but bondholders and banks owed more than $1 billion have not been paid. Although company officials admit that Interpipe, their pipemaking business in Dniepropetrovsk, has not been attacked directly by the fighting in Donbass, they say they are now cut off from supplies of scrap steel for smelters, electricity, and coal from Lugansk and Donetsk. As a result, Pinchuk is now planning to lay off at least 3,000 workers – one-fifth of his Dniepropetrovsk workforce. A brewing worker rebellion and bankruptcy action by unpaid bondholders are part of what one Interipe executive calls Pinchuk’s “fundamental risk”. The timing of the disclosures could not be worse for Pinchuk, or for Dniepropetrovsk — until now the bastion of Igor Kolomoisky, Pinchuk’s commercial rival and governor of the region. Pinchuk was the target in the US last week as US newspapers opened investigations into the flow of money Pinchuk has directed to the Clinton Foundation, and to lobbying for commercial and political favours from Hillary Clinton and State Department officials directing the Kiev administration. According to Interpipe sources, neither the EU nor the US is buying enough Pinchuk pipes to offset the shutout in the Russian market, and the collapse of demand in Azerbaijan and Kazakhstan. The drop in the global oil price has triggered sharp cutbacks in oilfield spending and pipe demand in the US and the Middle East. The American shale oil boom has proved no good for Pinchuk too, because shale oil drilling requires premium pipes which Interpipe doesn’t manufacture. On February 20 there was an official bulletin from Clearstream, the Luxembourg-based securities and bond management system, that Interpipe intends “to suspend servicing of its debt commending from the [bond] coupon payment due 2 February 2015.” Clearstream warned bondholders that “if that default continues for a period of five business days[it] will become an event of default”. That in turn means, Clearstream warned, that $200 million in Interpipe bonds could become due and payable, along with accruing interest and penalties. Clearstream is now calling for bondholders “to form an ad hoc group” to decide what to do next, noting the bond default has been forced “in order [for Interpipe] to be able to continue its business.” The bonds have been hit by multiple defaults since they were first issued in July 2007, with a 3-year term and 8.75% interest rate. Bondholders have been agitating over the risk of Interpipe’s default since 2009; but a buyback of bonds by entities reportedly connected to Pinchuk has left the independent bondholders with insufficient votes to oblige Interpipe to redeem the bonds in full on the original maturity date. Instead, in 2011 the repayment term was extended to 2017, and the interest rate lifted to 10.25%. A source close to Deutsche Bank, the trustee for the Interpipe bonds, claims that Interpipe arranged for selected bondholders to receive their coupon payments this month, while most have missed out. “There are privileged bondholders,” the source charges. “Interpipe is not treating all bondholders equally, perhaps with the idea that those most likely to press bankruptcy in court should get their money.” For more on Interpipe’s defaults to the bondholders and banks, read this. Interpipe, which is wholly owned by Pinchuk, publishes a website in English and Russian, but its public releases lag years behind the reporting required by its bondholders and creditors. The audited financial report for 2013 can be read here. The annual report for 2014 isn’t likely to be released for another five months. A presentation by the company to selected investors and creditors, dated February 2015, was issued a few days ago. It presents selected financial data for the nine months to September 30 last, and fourth-quarter sales volume results. Click to read. The report shows that 9-month declines in pipe sales in all markets, led by sharp falls in Ukraine and Russia, and by an even more dramatic slump in sales of wheels to the Ukrainian state railways, caused revenue to drop by 29% to $802 million. Earnings (Ebitda) fell 52% to $81 million. As of September 30, the company’s operating cashflow was negative by $10 million. Then in the fourth quarter, as the civil war intensified, things got even worse. 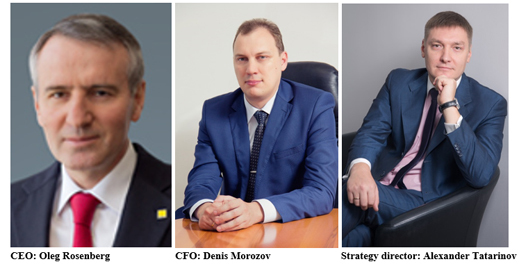 Naftogaz, the Ukrainian state gas company which is now under control of the International Monetary Fund (IMF), is Pinchuk’s largest customer for pipes, but it is also the largest supplier of Interpipe’s gas. The IMF is trying to force the price of gas up, along with the recovery of debts owed to Naftogaz by major industrial consumers, like Interpipe. At the same time, Naftogaz is cutting its procurement of pipes, and eliminating the barter arrangements – gas debt for pipe supply – which maintained demand for Interpipe production lines through 2013. 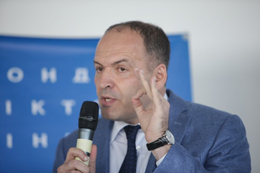 The remedy is draconian, Pinchuk has told his executives to tell the banks and bond market. Interpipe must “substantially reduce its volume of operations (reduce utilization of certain production capacities, personnel layoffs etc.) in order to adjust cost base. This will inevitably include very unpopular actions (in particular reduction of a headcount in a situation of growing depression in the local economy).” Interpipe sources estimate that least one in five of its workers in Dniepropetrovsk will lose their jobs – at the same time as local prices and taxes are rising, and state subsidized communal services falling away. Even the devaluation of the Ukrainian hryvnia has failed to benefit Interpipe on the cost side of its balance-sheet because the Russian market is closed. Were it to reopen, Interpipe is now conceding that the devaluation of the rouble has eliminated Interpipe’s competitive position there. At last week’s briefing for bondholders, Interpipe sources described their position as the most volatile in the company’s history. 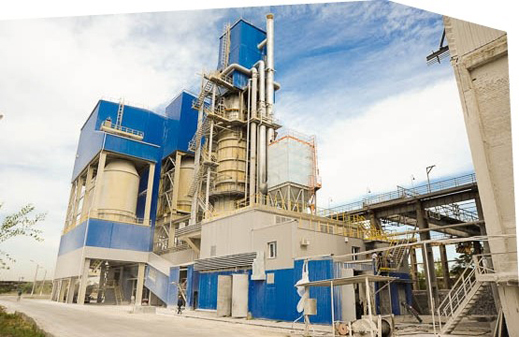 Even if bondholders and bank creditors agree to defer repayments and hold off from bankruptcy litigation, the company management say they cannot predict what will happen when they reveal in Dniepropetrovsk that production lines must close, and layoffs commence. Pinchuk (right) himself has cancelled an earlier agreement with Interpipe’s banks to pledge $40 million in a letter of credit for security against further defaults. That promise was extracted during debt restructuring negotiations in 2011, and reported in Interpipe’s financial report for 2012. Read page 41 here. Now Pinchuk has pledged instead to lend the company the same $40 million. At this moment, company sources admit, Pinchuk has given Interpipe half or $20 million in what he is calling an “emergency standby facility. ” But Pinchuk is also insisting on being repaid. Sources close to the company’s bankers believe this puts Pinchuk, with his $20 million, in a privileged position compared to the official creditors and the bondholders, who are owed more than $1 billion. The creditors have suspected that, although Pinchuk is forbidden by earlier refinancing arrangements to take dividends from Interpipe, he is managing to draw cash from the company’s foreign trade operations, which are based in Switzerland. This money, according to one source, is now suspected of being loaned back to Interpipe. This claim cannot be corroborated; Interpipe does not respond to questions delivered by telephone or email. Accountants Ernst & Young are warning that they will be obliged to report doubt that Interpipe can continue as a going concern. But Interpipe executives claim that so long as the bondholders and creditor banks show “understanding”, it is “unlikely” Pinchuk will be forced into bankruptcy. Negotiations with the leading creditors – Italy’s export credit agency SACE, plus Royal Bank of Scotland, ING, and Commerzbank — are currently “frozen”, Interpipe sources said last week. This means that the governments controlling the creditors – Italy, UK, Netherlands, and Germany – have the final say on whether Pinchuk can continue to control Interpipe. For Pinchuk’s efforts to lobby these governments, read this. 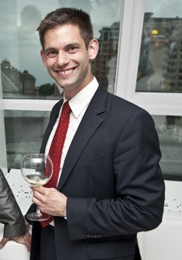 In the US Pinchuk has employed a lobbyist named Douglas Schoen (below) since 2011 at $40,000 per month. The cash comes from both his Pinchuk Foundation, based in Kiev, and EastOne, his asset holding operating in London, Kiev, and Cyprus. Schoen, who is based in New York, is a pollster for the Democratic Party in the US and for US Government agencies abroad. 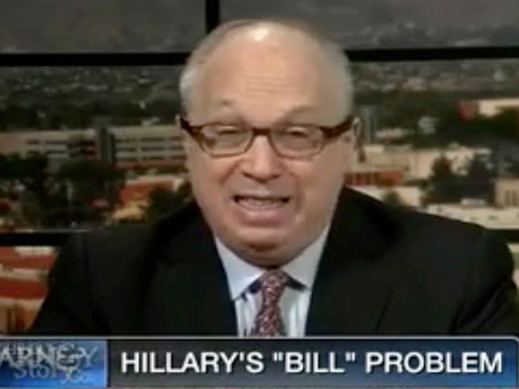 He is also a booster for the Hillary Clinton presidential campaign; that’s what the Rupert Murdoch media call a “political analyst”. Schoen’s latest filing for Pinchuk with the Foreign Agents Registration Act (FARA) unit of the US Department of Justice reveals that during the last six months of 2014, Schoen’s monthly stipend remained undiminished at $40,000. However, compared to the FARA filings in 2011 and 2012, Schoen now claims his efforts are “philanthropic work”, with “no payments attributable to lobbying work this period”. To the question: “During this 6 month reporting period, did you prepare, disseminate or cause to be disseminated any informational materials?” Schoen ticked the No box. In fact, the promotional materials were written or delivered at lectures and in the press by Steven Pifer, a former US ambassador to Ukraine (below, left), and Anders Aslund (right), a propaganda specialist. Their stipends Pinchuk pays at the Washington think-tanks, Brookings Institution and the Peterson Institute for International Economics (PIIE). In acknowledgement, Pinchuk is listed as a member of the “international advisory council” at Brookings, and a board director at PIIE. For more details, read this. Melia is deputy assistant secretary at the State Department, responsible for Ukraine at the Bureau of Democracy, Human Rights, and Labour. 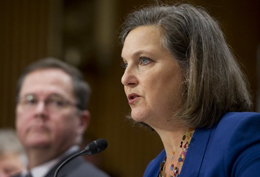 Both Melia (left) and his superior, Victoria Nuland (right), were active in preparing Yatseniuk’s takeover of power in Kiev on February 22, 2014. Pinchuk hosted the last outing together of Aslund, Pifer, Melia and Schoen at the Kiev session of the Yalta European Strategy (YES), another Pinchuk philanthropy, in Kiev last September. What the distinction between lobbying and philanthropy means is that Pifer and Aslund do the lobbying for Pinchuk, and he puts money in their pockets through the think-tanks. Then Schoen reports to the Justice Department that he is receiving $40,000 per month from Pinchuk for doing nothing reportable at all. Last week, when three Washington Post reporters were investigating money Pinchuk had given the Clinton Foundation, they missed the $6 million difference between what Pinchuk said he had given, and the smaller number the Clinton Foundation said it had received. The Post investigation also failed to detect that the origin of the Pinchuk funds may have been a Russian insurance company fraud. Read more. For an account of how the International Trade Administration of the US Department of Commerce was persuaded to drop claims by American pipemakers that Interpipe was landing its products in the US market with a below-cost, or dumping price margin of 26% to 31%, read this. Last July, the Department of Commerce ruled that instead of the penalty duty of 31% originally proposed, Interpipe sales to the US should pay no import duties at all. That philanthropy hasn’t saved Pinchuk’s bacon. According to the report he presented to bondholders last week, by December of 2014, Interpipe’s sales to the US had dwindled to about 7,000 tonnes, half of what they had been at peak the previous February. Comparing Interpipe’s export results to the US in the fourth quarter of 2014 to earlier years, the volume was one-third less than in the same period of 2011.